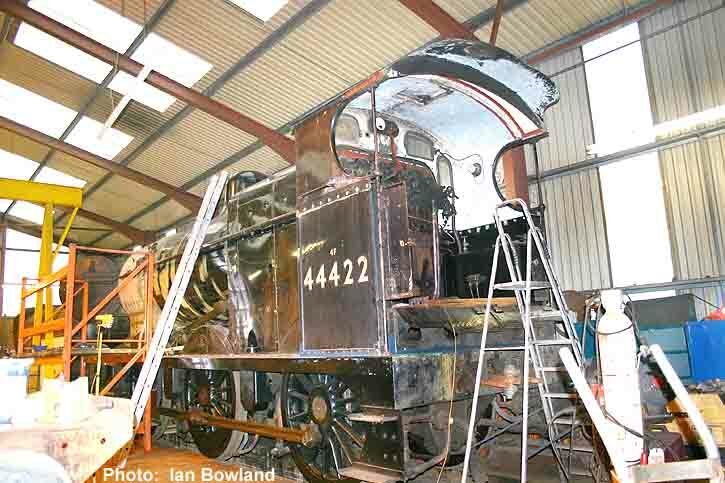 The state of play on 6th January 2005 and 44422 is beginning to look like a steam locomotive again. The rate of progress is already breathtaking and my thanks to Steve Latham and his team for allowing me in to work on the engine. It is an education to see these people at work. 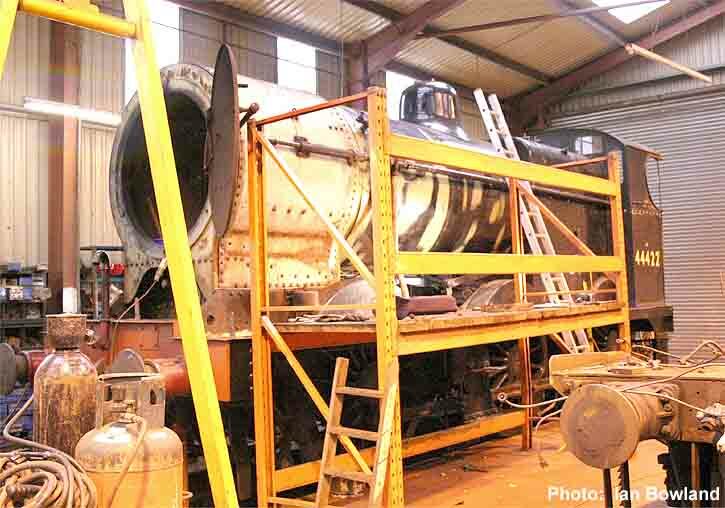 In this shot the superheater tubes are being fitted and much work was going on in the base of the firebox. 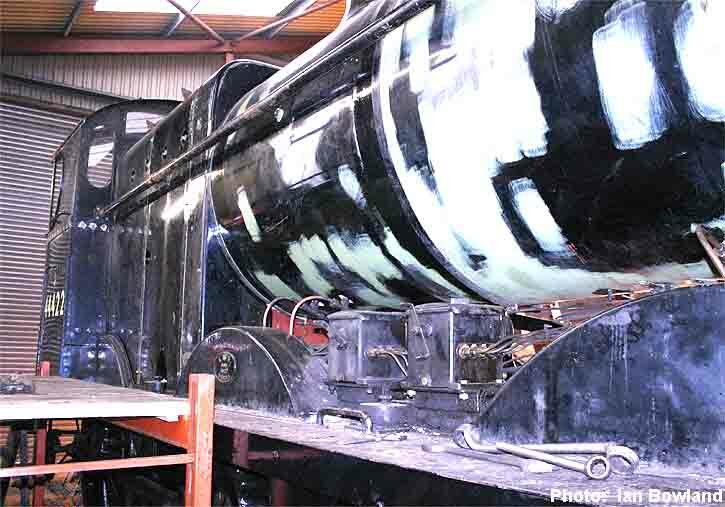 A general view with the rubbing down process well in hand on the boiler and firebox cladding in preparation for painting. Restoration of the cab is well under way. 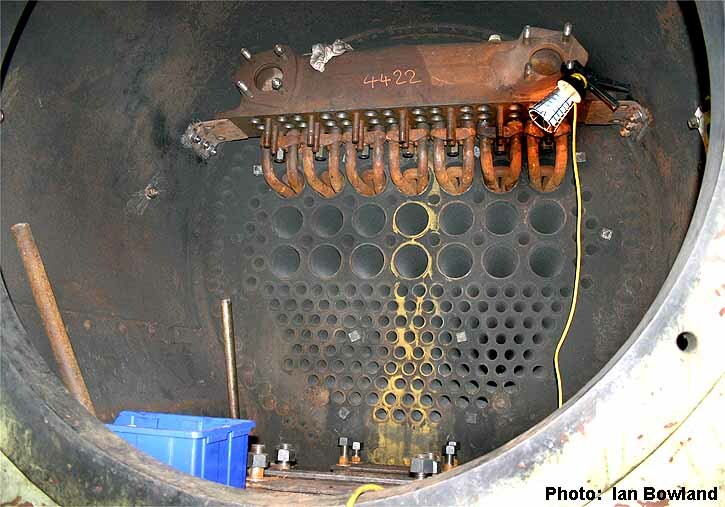 A closer view of the superheater tubes and header. 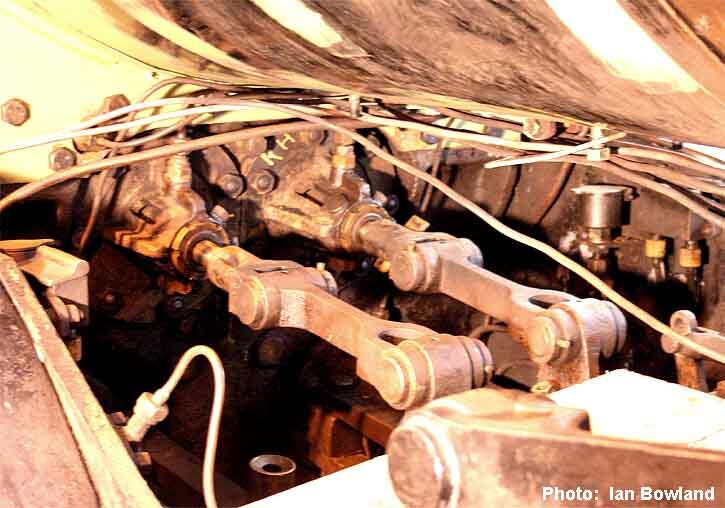 The mechanical lubricators have been piped up and are ready for loading with oil. 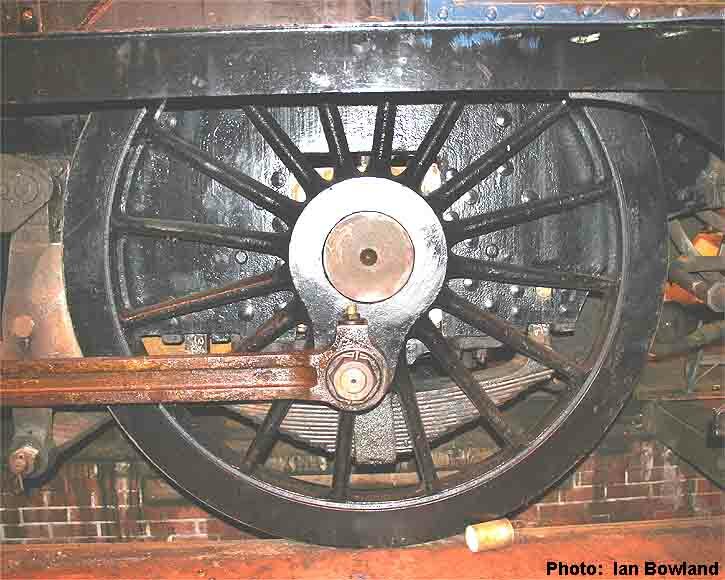 One of the re-tyred wheels, the con rod is not rusty it is coated with protective grease. 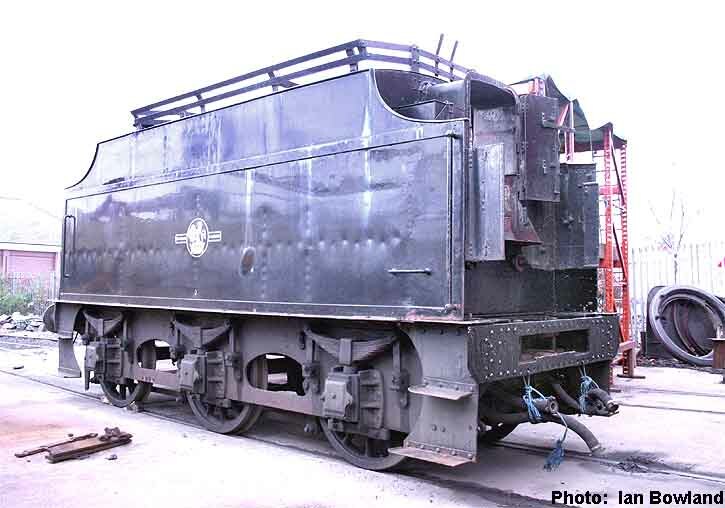 The tender is not being ignored with some remedial bodywork being prepared and replating within the coal bunker. 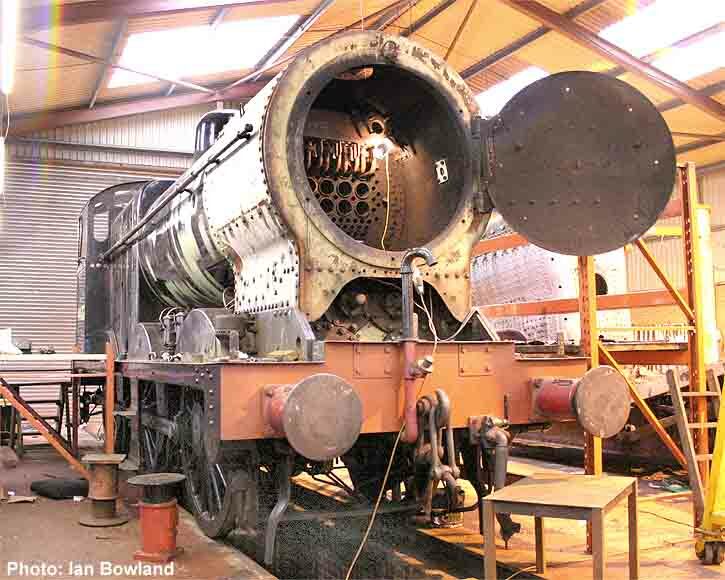 The tank has been inspected from the inside and is in better condition than was first thought. 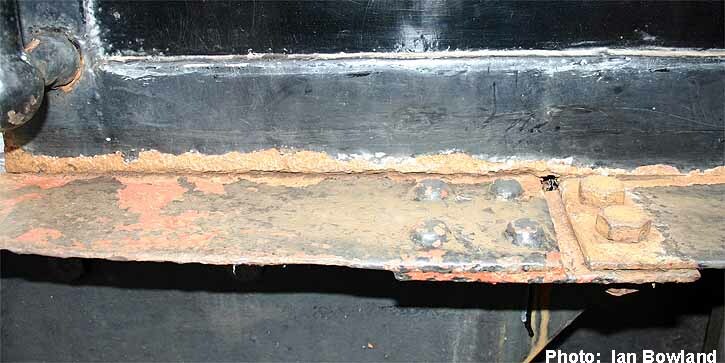 Some of the deep seated corrosion where the tank sits on the frame.